We all have people that are “impossible to shop for.” They either have everything, don’t want anything or both. Which leads to the ultimate question: what do you get the person who has everything and doesn’t want anything? 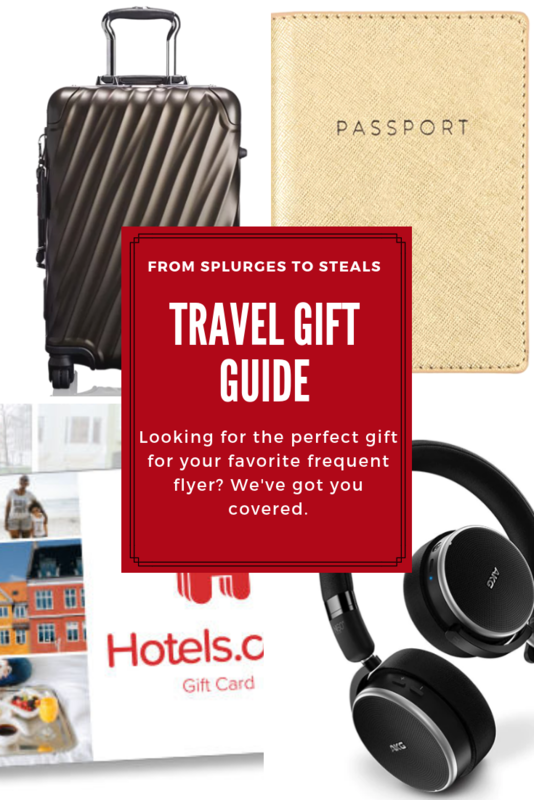 Well, if they’re a frequent traveler (or just a travel lover), our Travel Gift Guide has you covered. We at Top 5 are travel lovers. Some of us are full-time digital nomads, some reside abroad and travel pretty much every weekend, and others travel every chance they get. We’re self-proclaimed travel experts. Thus, if you’re looking for the perfect gift for the frequent traveler in your life, we can help. 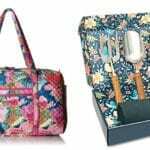 Whether you’re looking for a stocking stuffer, a mid-range gift, or are looking to splurge, our Travel Gift Guide is here to help. If you’re searching for the perfect gift someone, the answer is often easy: money. But, sometimes it feels weird, or impersonal just giving cash. That’s where gift cards come in. If your travel-loving friend likes to stay in hotels rather than Airbnbs, consider getting them a gift card for Hotel.com. Owned by Expedia, it’s one of the best sites to score deals on hotels and travel packages. Gift cards are available in denominations of $10 up to $2,000, and there are no expirations dates or hidden fees. When you’re on the go, it’s hard to keep your devices charged. Portable chargers are a must, and Anker’s PowerCore Speed 20000 is one of our favorites. It’s small but powerful, and it’s compatible with Samsung products, iPhones, iPads, and so much more. The PowerCore Sped 20000 can hold a charge for seven phones, and once it’s depleted, takes just six hours to fully recharge. Going on an all-day hike where you’ll need to use your phone for maps, photos, and more? 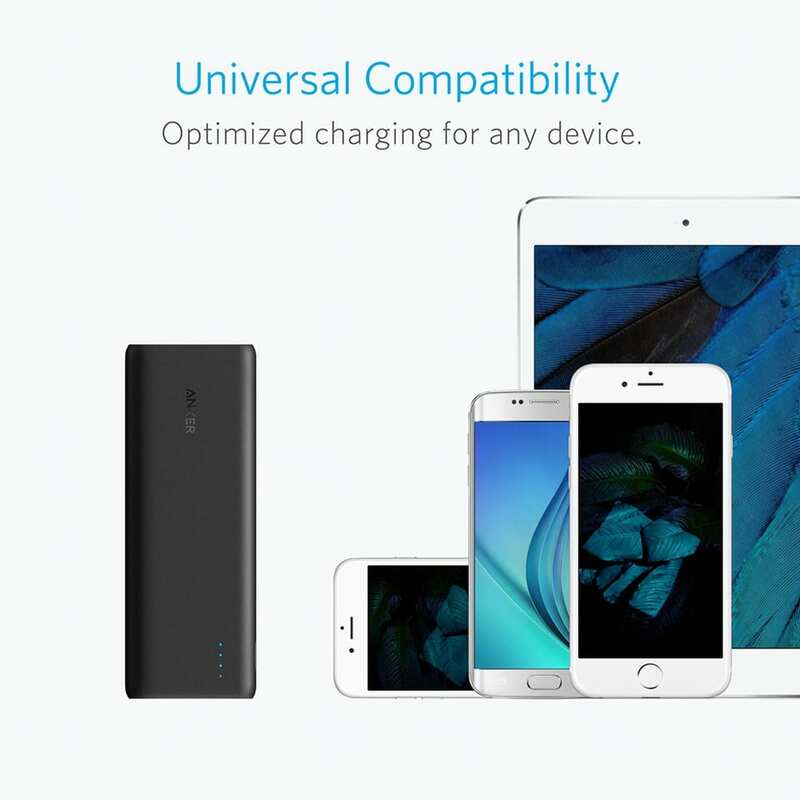 Anker’s portable charger has you covered. There are a lot of portable chargers on the market, but Anker’s made our travel gift guide because of its power. Looking for a personalized gift for a loved one? You can’t get much more personal than DNA. We recently compared five different DNA test kits, and 23andMe was one of our favorites. In 2007, 23andMe began offering saliva-based DNA testing and was the first to implement using autosomal DNA for ancestry testing. With a simple saliva sample, you can learn where your maternal and paternal lines came from. It can even show how much Neanderthal DNA you have, as well as provide information on your genetic makeup. DNA kits are great gifts for travel lovers interested inlearning more about their heritage. It’s a fun way to generate proof of where your ancestors came from. Those interested in learning more can even take it a step further and visit the towns their ancestors came from. If you have a loved one that loves to read and doesn’t yet have a Kindle, consider this as one of the best suggestions on our travel gift guide. Yes, real books are great, but they’re heavy. Plus, when you’re in a foreign country it can be hard to find books in English! Kindle’s solve both of these problems. 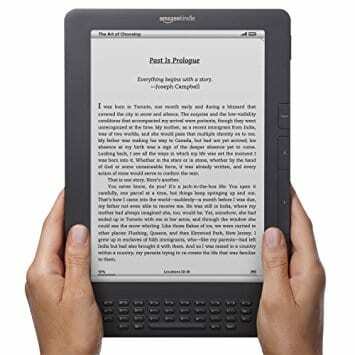 In addition to being lightweight and easy to travel with, Kindle’s enable you to get free books while you travel. If you have a local library, you can actually borrow Kindle books from the library free of charge. This way, the travel lover in your life can stock up on dozens of books and bring them all on their journey. When you’re traveling, it’s important to stay hydrated. Airplanes drain you of moisture, and if you don’t rehydrate, you can feel fatigued, nauseous, headachey, and more. It’s crucial that you drink as much water as possible when you fly. Because flight attendants won’t welcome you ringing the call button every hour for more water and airport kiosks are expensive, consider investing in a good water bottle. S’well Water bottles are our favorites and one of the top picks for our travel gift guide. Yes, they’re more expensive than other water bottles, but there’s a reason: they’re better. The double-walled construction means your cold beverages will stay cool for 24-hours, and your hot beverages will stay hot for 12 hours! You can stay hydrated with cool, refreshing water! 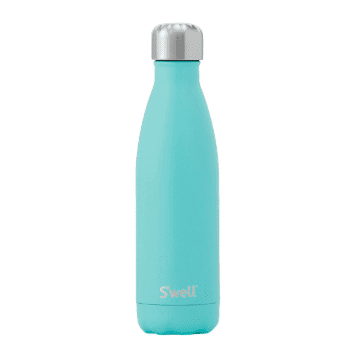 S’well’s water bottles come in many sizes and colors. Flying wreaks havoc on your skin and your body. If you’re a light sleeper, chances are you spend your flight wide-eyed, just wishing you could pass out like your fellow travelers. Neck pillows can help. 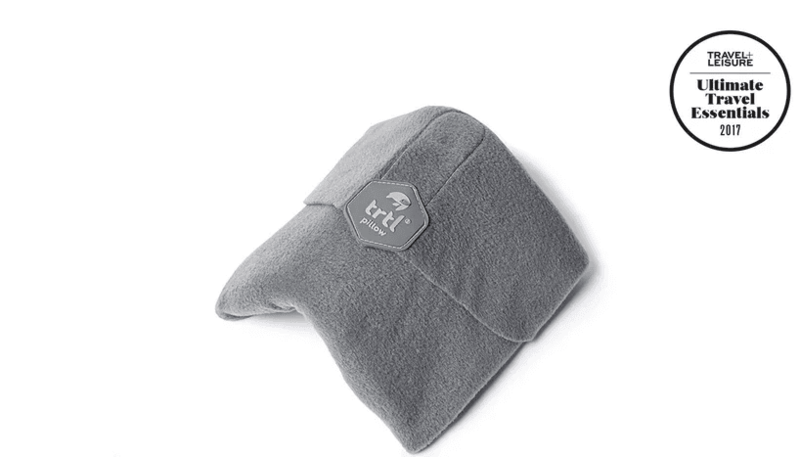 Travel and Leisure ranked the Trtle Pillow one of the best travel pillows, and Amazon rated it an “Amazon’s Choice.” Pronounced “turtle,” the Trtl features a fleece like outer shell an an interior foam that contours to your neck, jaw, or even shoulder. If you’ve found traditional U-shaped neck pillows don’t provide enough support, the Trtl may be your solutions. Plus, it’s half the size! Packing is like a game of Tetris that can sometimes be fun and other times be miserable. Unpacking can be just as torturous: your clothes are usually wrinkled, you have no idea where in your bag a certain item is, and you have to spend too much time sorting through items and organizing them in hotel dressers. That’s where packing cubes come in. Packing cubes are life-changing for travelers. Not only do they keep your clothes compressed and wrinkle-free, but they’re a way of organizing your items so you know where everything is! Plus, you can simply move the cubes directly into your new dresser rather than spend time moving item by item. 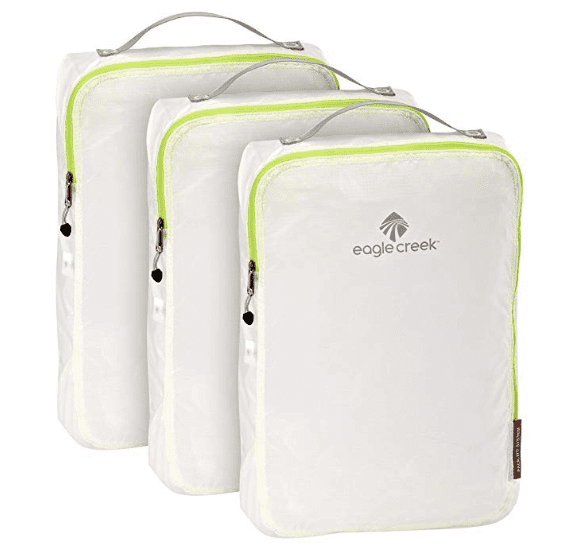 The Eagle Creek Pack-It Specter Cube Set made our travel gift guide as its durable, water-resistant, and machine washable. These cubes are made with ultra lightweight material, so you can organize your suitcase without having to add excess weight. The set includes three medium mesh bags, which allow for visibility so you can see what each bag contains. Plus, its two-way zippered opening enables maximum compression so you can fit even more in your suitcase! 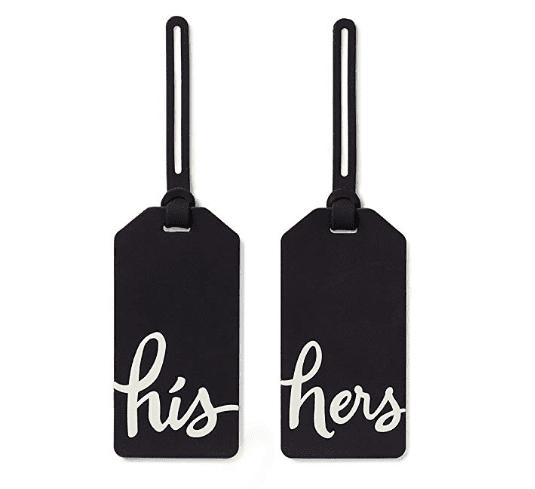 If you’re looking for the perfect wedding gift or gift for the newlyweds to take on their honeymoon, consider these adorable his and her luggage tags from Kate Spade New York. They’re a fun way to mark your luggage and announce to the world that you’re officially off the market. Plus, they’re more durable than the basic luggage tags the airport provides! Can you imagine losing your luggage on your honeymoon because your luggage tag had fallen off and the airline couldn’t get in touch with you? Did you know there are roughly 15 different types of electrical outlets in use throughout the world? If you’ve traveled abroad, you know you can’t bring your hair dryer and expect it to work. That’s why converters are needed. 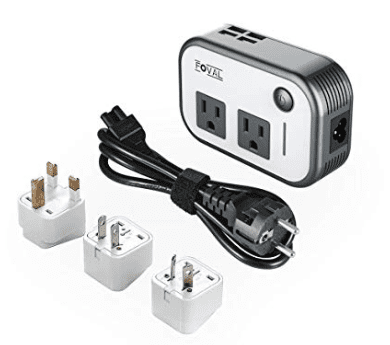 Converters not only enable you to plug an American outlet into a foreign outlet, but they also “turn down” the electrical voltage to 110/120V, which is what American devices need to function properly. The Foval Power Step Down Voltage Converter was Amazon’s choice for “220v to 110v converter,” which is why it made our Travel Gift Guide. It has four USB slots and two, two-pronged plugs. It’s also smaller than many converters. Have you noticed when you travel, you sometimes encounter problems with your hair? It may not have as much bounce as it does at home, or perhaps it always seems to be greasy or dry. These hair problems can be due to a change in climate or even a different type of water than what your hair is used to. As such, you’ll want to do whatever is in your power to keep your hair looking as good as possible. Bringing your own shampoo and hair needs is one of those things in your power. Bumble and Bumble’s Soft, Sea-Tossed Hair products are one of our favorite lines – especially for those of us that hate using hair dryers. It keeps our hair looking wavy, volumized, and moisturized, so we were thrilled to see that Sephora carries it in travel sizes! Gone are the days of having to buy our own travel containers and fill them with our favorite products. If you have a travel lover in your life that frequents hostels, they’re going to need to BYOT. Most hostels don’t provide towels, and carrying around a traditional terrycloth towel isn’t the best option. That’s where travel towels come in. Travel towels are not only lightweight, but they can absorb up to nine times their weight in water. Plus, they’re quick to dry! 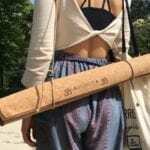 Healthy Home Travel Towels is one of our favorite brands of travel towels, so it was only natural it made our Travel Gift Guide. Available in four sizes, these microfiber towels dry up to 10X faster than normal terry cloth or cotton towels and remain odor-free after use. 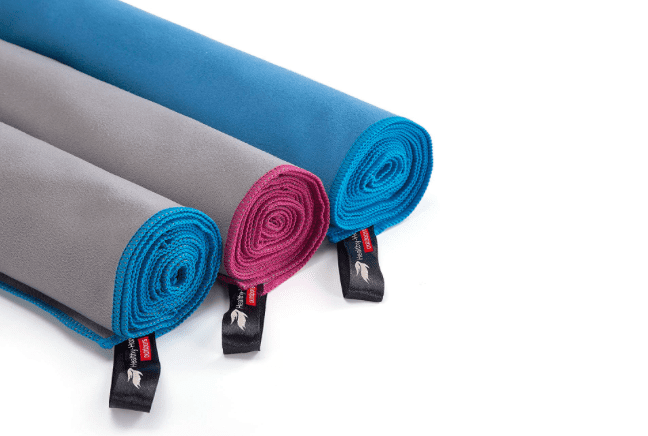 While they’re great for hostels, they’re also perfect for yoga, SCUBA diving, and more. Is your traveler planning on exploring The Top 5 Dive Spots in Thailand? They’re going to need a travel towel. A sleep mask is one of the best tools for a traveler. Whether it’s for airplane use, an afternoon nap to combat jetlag, or even nightly use, it can help guarantee a good night’s sleep. The Alaska Bear Natural Silk Sleep Mask is Amazon’s #1 best seller in the sleep mask category and it’s easy to see why. Made of 100% top-quality 19 momme natural mulberry silk on BOTH sides, the mask is super-soft yet breathable. It offers a cool, soothing feeling – perfect for travel weary eyes. The one-strap headband is easy to adjust and won’t tangle in your hair. Plus, it fits comfortably with ear plugs! Have you ever had to pay excess baggage fees? They can add up. While the best way to avoid them is to simply under pack and not shop, the second (and more realistic way) is to invest in a luggage scale. This way, you can weigh your bag and adjust before heading to the airport. 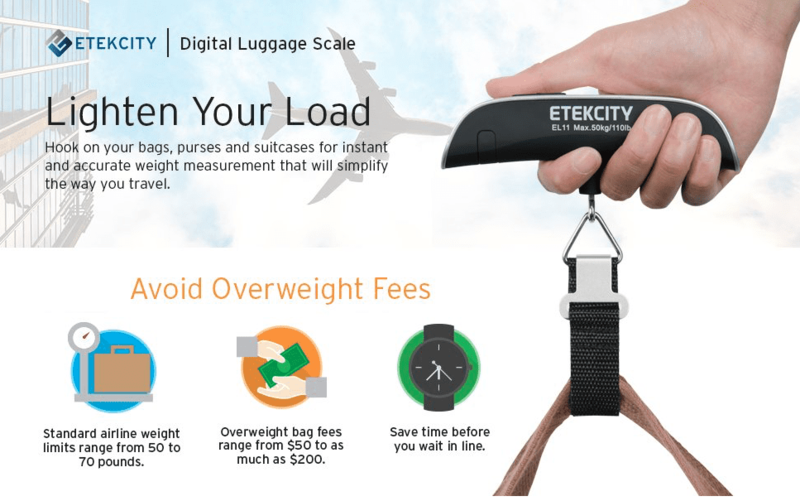 The Etekcity Digital Hanging Luggage Scale is Amazon’s Choice in luggage scales. It can weigh your bags in either pounds or kilograms, and the scale has a weight capacity of 100 lbs (or 50 kgs). It’s easy to use, lightweight, and can save you hundreds of dollars. If you have a traveler in your life that tends to overpack, this is the perfect gift for them. Have you ever gotten off an airplane with skin so dry it itched? You can thank the recirculated air of the plane for that. Airplanes are terrible for the skin, which is why it’s important to stay as hydrated as possible from both the inside and the outside. While it’s imperative to drink as much water as possible, it’s also crucial to keep your skin hydrated. That’s why we love sheet masks. Algae Face Mask: This mask detoxifies the skin to get rid of impurities that cause dullness for a fresh, radiant complexion. Avocado Face Mask: This mask nurtures and supports healthy skin by offering intense nutrition and relieving sensitive areas. Green Tea Face Mask: The green tea mask mattifies and purifies to soothe skin, minimize shine, and reduce the appearance of outbreaks. Lotus Face Mask: This mask locks in water to reduce the signs of fatigue and strain for a stress-free and rested appearance. 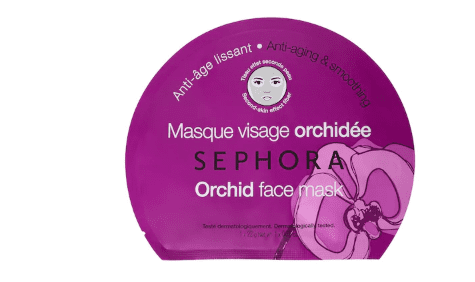 Orchid Face Mask: The orchid mask moisturizes and evens skin tone to reduce the appearance of wrinkles and other signs of aging. Pearl Face Mask: This mask perfects and brightens with natural-origin pearl to create high luminosity and visibly minimize irregularities. Pomegranate Mask: This mask awakens, energizes, and tones the skin for a fresh appearance. You simply unfold the paraben-free mask, peel of the pink film, and apply to clean skin for 15 minutes. There’s no need to rinse, and you’ll be left feeling silky smooth and most importantly, hydrated. 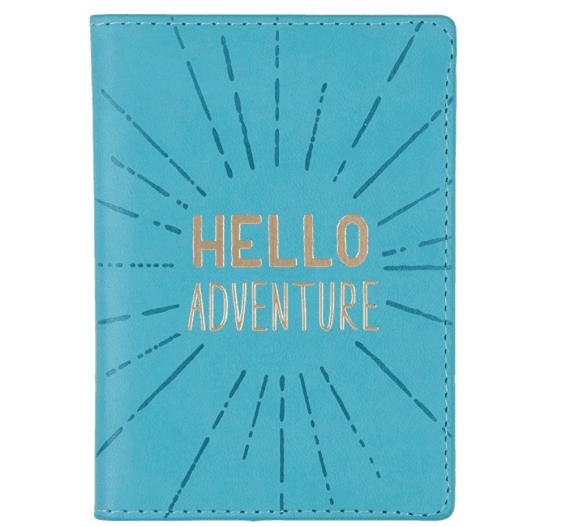 Every traveler needs a good journal. 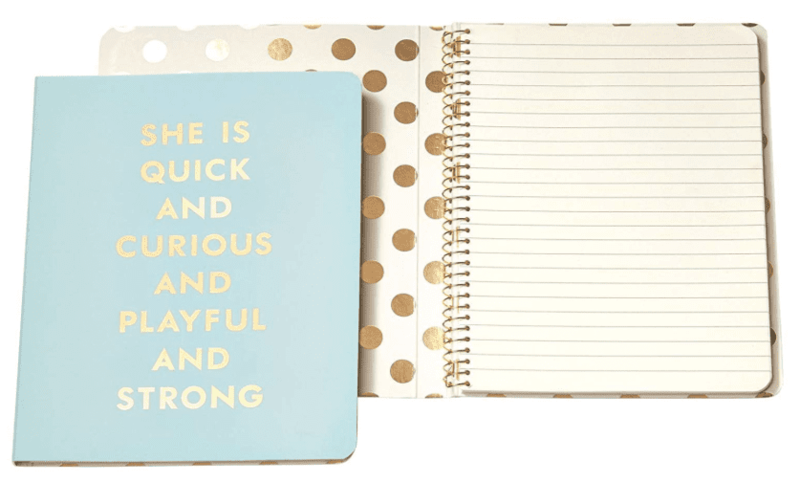 Nowadays most people use iPhones or other electronic means to take notes on favorite restaurants, hotspots and more, but something can be said about the art of journaling. A lot of travelers like to save boarding passes, museum stubs, menus, and other memorable things to look back upon and smile. Some still like to take notes on what they did each day. If your favorite traveler is a memory keeper like this, consider getting them a notebook. 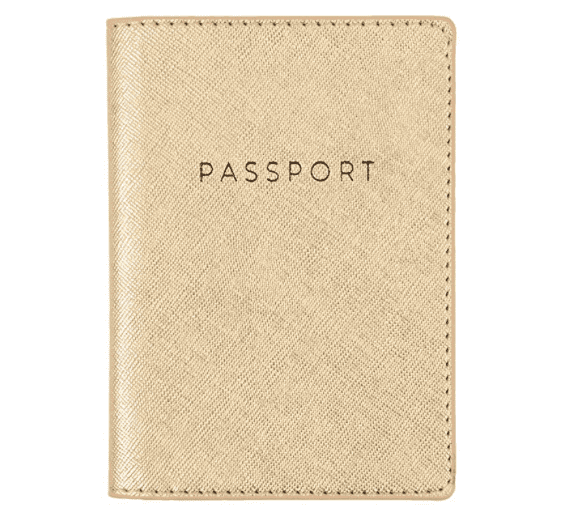 Passport covers aren’t necessary, but they’re fun. 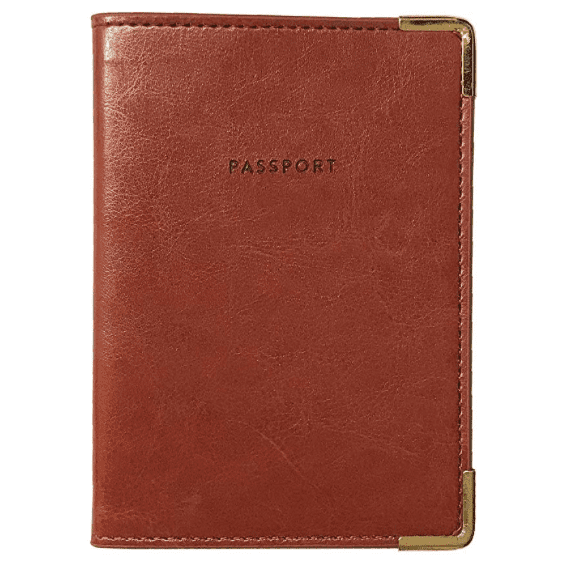 They can also be beneficial in keeping track of your passport, particularly if you buy a bright color! 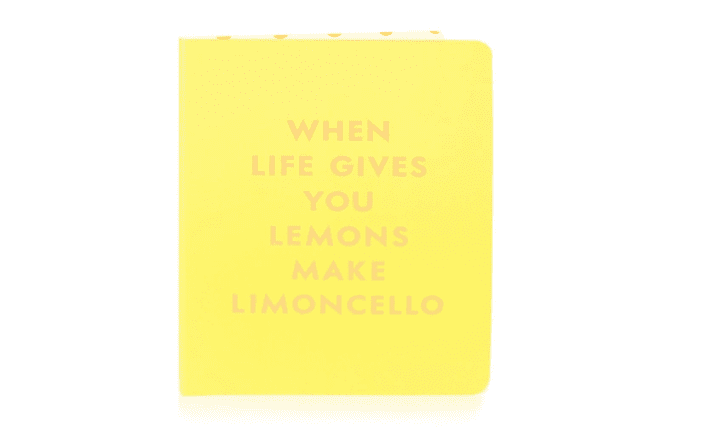 We love these Eccolo passport covers because they’re cheap, cute, and fun. With nearly 20 different options, there’s bound to be one here your traveling friend will love! Is he or she more into glitz and glam? Go for the gold with this shimmery cover! Compression socks may not be at the top of anyone’s wishlist, but they should be for frequent fliers. 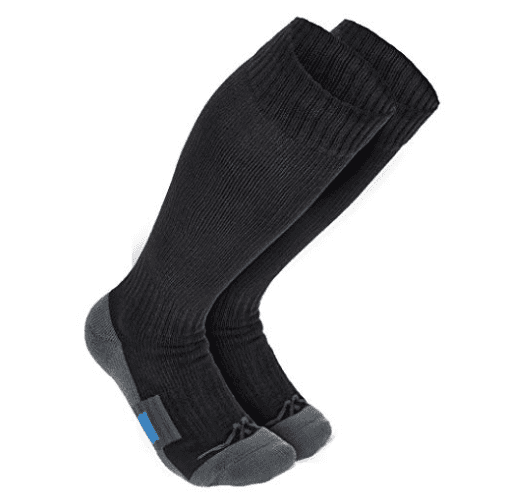 Compression socks help to increase circulation and reduce the risk of swelling, deep vein thrombosis (DVT) and clotting on long flights. Ideally, they should be worn on all flights over four hours. Wanderlust’s Travel Compression Socks are gender neutral and great not only for both flights and everyday use. They work to prevent painful swelling, Edema, DVT, and more. Even better? Wanderlust stands behind its product 100%. If you don’t fall in love with these socks after their first wear, Wanderlust will refund your money or send you a new pair for free! It’s important to stay moisturized when you travel so your skin doesn’t freak out once you reach your destination. NPW-USA’s beauty kit can help. If you have a beauty-loving traveler on your gift list, consider this seven-piece essential kit. 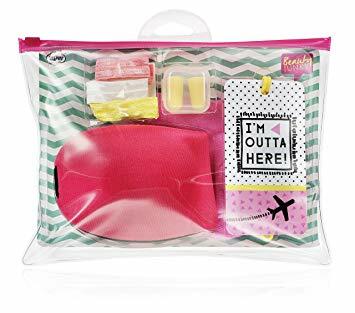 Not only is the kit super cute, but it includes all the necessary travel needs a girl could have: luggage tags, socks, ear plugs, molded eye mask and three hair ties (because they’re so easy to loose). Cashmere is the ultimate for travel comfort: it’s soft, warm, breathable, and gives you a feeling of luxury. 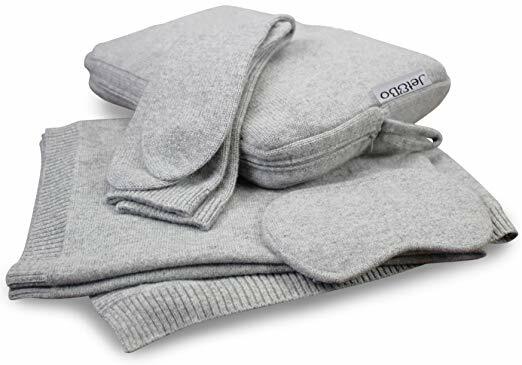 If you’re lookingfor the ultimate luxury splurge for your favorite traveler, consider this 100% cashmere travel set that includes a blanket, eye mask, and even socks. Whether you’re traveling in first class or not, you’ll certainly feel like it with this set. The blanket measures 60” x 35” so it’s the perfect size to cover you from head to toe in your seat. While the set is perfect for airplanes, it’s also great for train and car travel as well. The set is available in black, grey, and natural. It certainly is a splurge and not likely a luxury someone would invest in for themselves. And those types of items always make the best gifts. You know you’re a bona fide traveler when you get excited about luggage. High-quality luggage is just different, especially roller-bags. 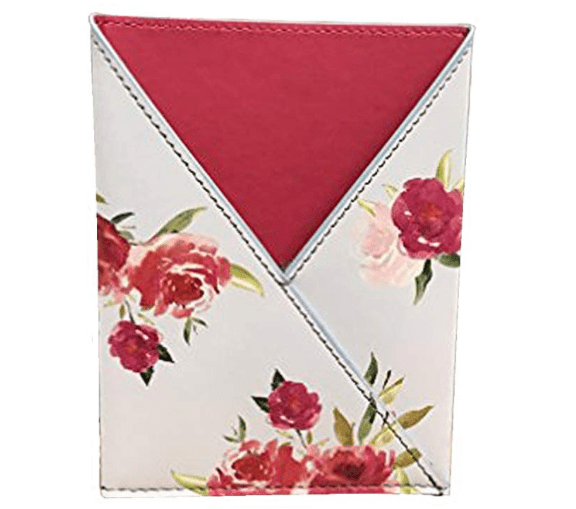 They have all the right pockets in all the right places, which helps to keep your package organized. And the best part? Their spinning wheels make them glide effortlessly across airport floors. 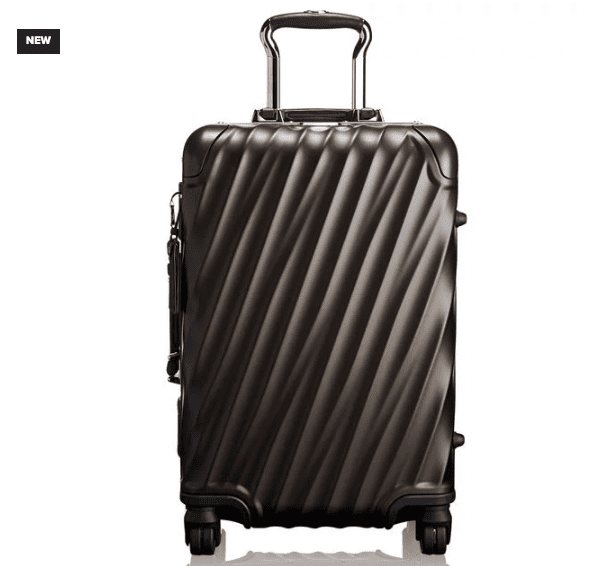 If you’re looking for a true splurge gift for the travel lover in yourlife, check out Tumi’s new 19 Degree collection. The international carry-on is our top choice. This titanium bag features a rough aluminum shell that can handle wear and tear. This bag is super sleek with fluid lines and contoured angles. It’s retractable handle and slim “spinner” wheels make it easy to handle — even if you’re running through the airport! Plus, it’s water resistant and comes with a 2-point locking system for additional security. The interior is lined with nylon and features adjustable clothing straps as well as a zip pocket. Want to add a bit of flair? Tumi has included vintage-inspired stickers so you can personalize your bag. As beneficial as it is to travel light, sometimes you just need a big bag. Perhaps you want to check out the best neighborhoods in Paris and want to make sure to look your best each day. A carry-on unfortunately won’t meet your needs. Or, maybe you want to visit the most instagramed cities in Morocco and plan on stocking up on Argon oil, leather goods, and spices. You’ll want a big suitecase to bring back all of your new finds. That’s where Samsonite’s Framelock 28” Spinner can come in handy. This new bag from Samsonite is sturdy enough to handle the roughest of baggage handles. 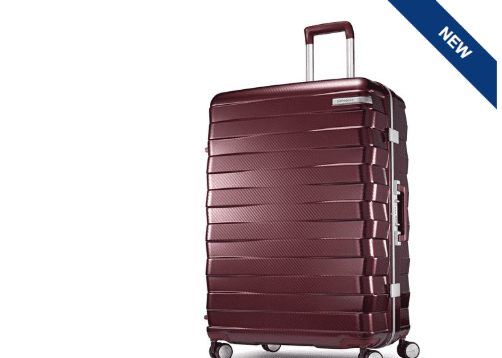 Its thin frame and low profile TSA-approved lock ensure both durability and security, and its double spinner wheels enable it to roll with ease across any terrain. Even better? It comes with a limited 10-year warranty! If your travel-loving friend loves adventures (and capturing those adventures on film), consider getting them a GoPro. The self-proclaimed “camera that’s as tough as you” is waterproof, voice activated, and provides incredibly high-quality photos and super-smooth video. Is the giftee on your list a SCUBA diver wanting to check out the Best Dive Spots in Thailand? 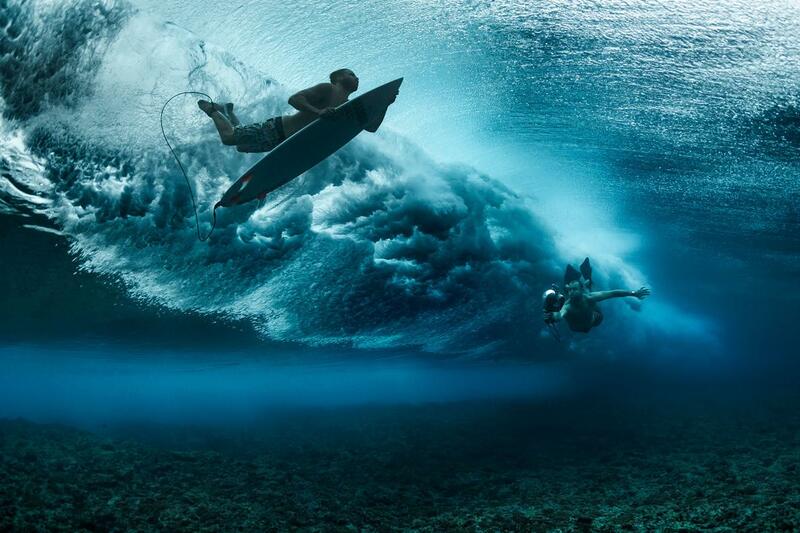 A GoPro is perfect! The Hero7 can below water down to 33 feet! 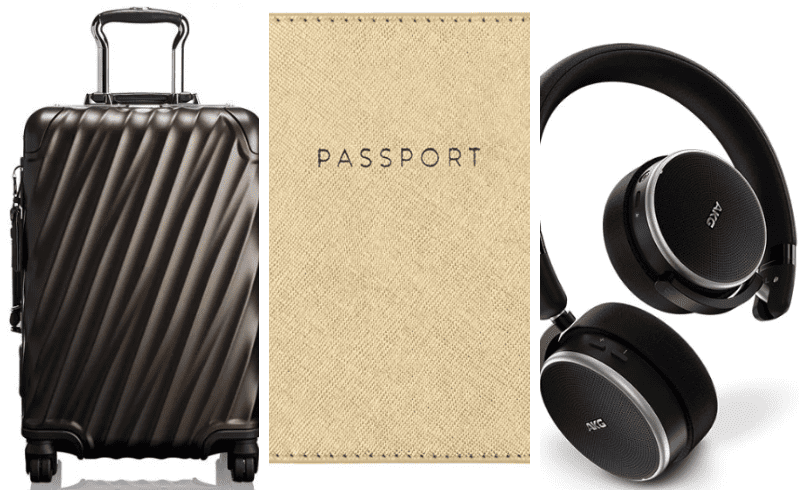 If you ask any travel lover what their must-haves are for long flights, we guarantee you “good headphones” will be in their top five. Airlines often provide headphones, but they’re usually uncomfortable and provide poor quality sound. Samsung has some of the best noise-cancelling headphones around. Not only do they provide high-quality sound, but they’re more affordable than many of their competitors. 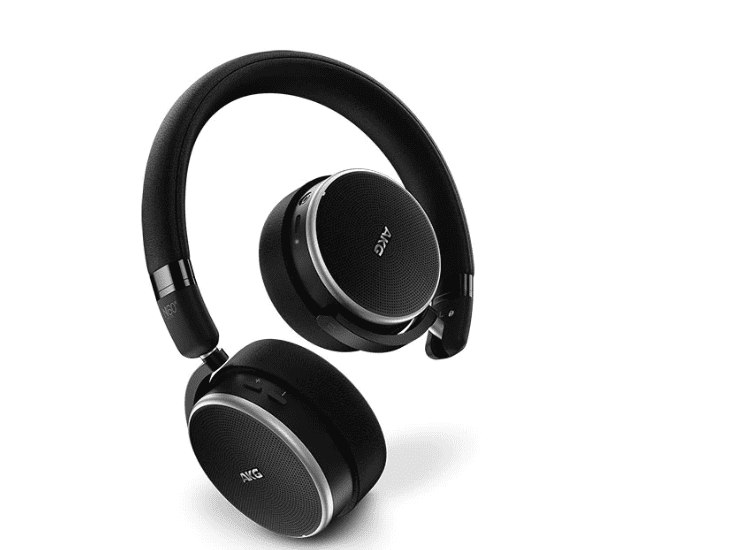 Our favorite model is the AKG N60 Noise Cancelling Headphones. They are incredibly comfortable, and they’re compact and wireless as well. They easily block out the roar of the airplane and chatter of nearby passengers so you can enjoy a movie or music. The battery provides 15 hours of playback! 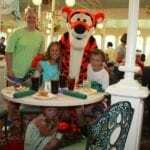 Travel lovers will likely tell you that a tablet is another travel-must for long haul flights. Why rely on movies the airline provides when you can bring your own entertainment? Long flights are a great way to catch up on your favorite TV series. If you’re going to be trapped for 6+ hours, why not enjoy a good Netflix binge? There are so many tablets on the market, but the Samsung Galaxy is our favorite. It’s made for entertainment, featuring a wide screen, excellent screen quality and Dolby Atmos® surround sound. You can even multitask, watching movies while listening to music and surfing the internet! Plus, if your hands are full, you can simply say “Hey Google” and the Google Assistant will help you. 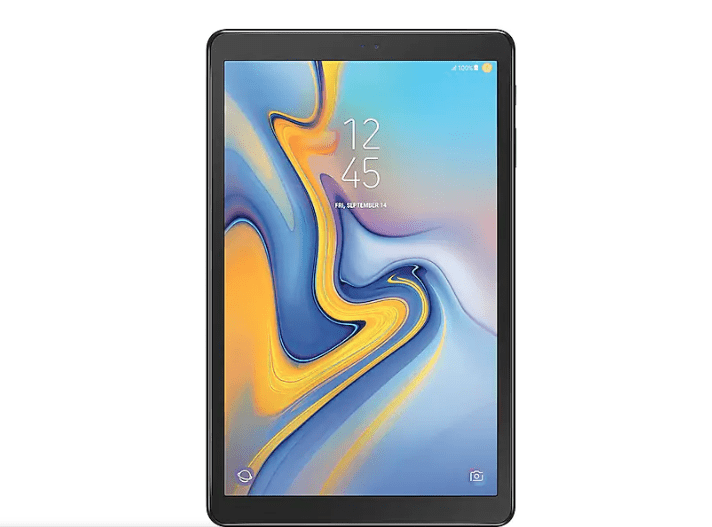 While we love our iPads, the Samsung Galaxy Tab is an excellent (and more affordable) alternative if you simply want a screen to watch movies and TV shows on. 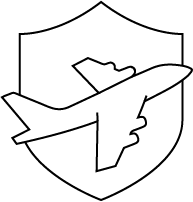 Trip Cancellation: Trip cancellation coverage provides reimbursement for non-refundable purchases should your trip be cancelled or interrupted due to injury, illness, or a variety of other reasons (reasons vary by provider). Baggage Coverage: This provides reimbursement should your luggage get lost, stolen, or damaged. Some plans also cover replacement needs for items such as toiletries and clothing if your bags are delayed. Medical Coverage: Medical coverage provides payment for emergency medical care should you get hurt or sick while traveling. Plans vary, and different companies offer different maximum coverage amounts. Medical coverage also typically provides emergency evacuation. 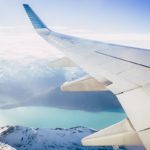 There are a lot of travel insurance companies out there, so check out our list of Best Travel Insurance Companies to see which is the best fit. We hope you found something on our Travel Gift Guide that the traveler lover in your life will appreciate. Next time a gift-giving opportunity comes around, spoil your favorite traveler with one of these items.